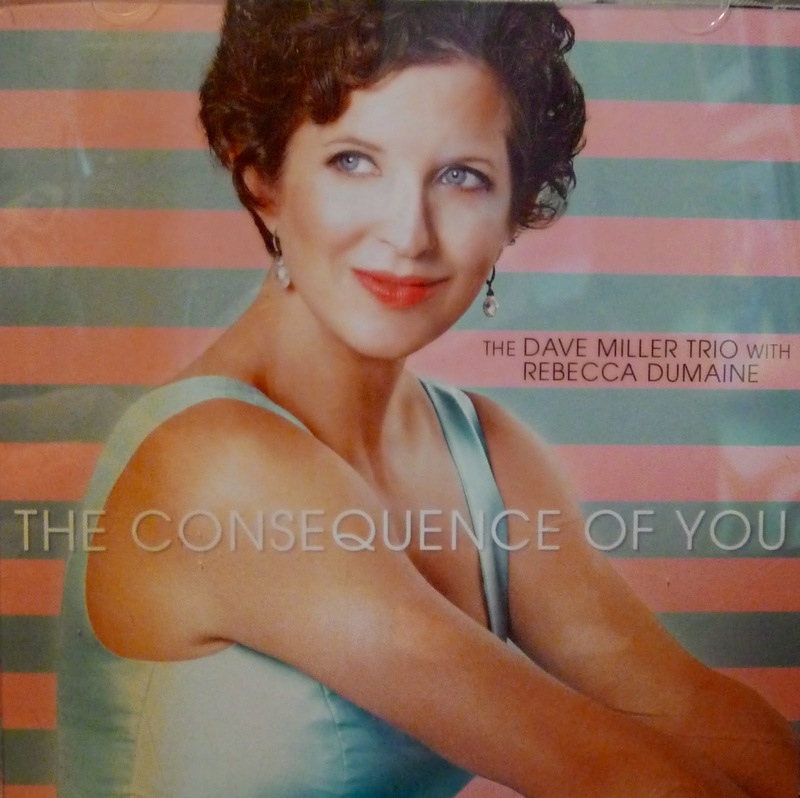 Music Man Blog: CD Review: Rebecca DuMaine With The Dave Miller Trio, "The Consequence of You". CD Review: Rebecca DuMaine With The Dave Miller Trio, "The Consequence of You". "The Consequence of You" is the third Album from Rebecca Dumaine and The Dave Miller Trio. This new Album is different from the first two in that Rebecca and Dave wanted to do a "Straightup Jazz record--everyone gets solos, everyone gets featured". 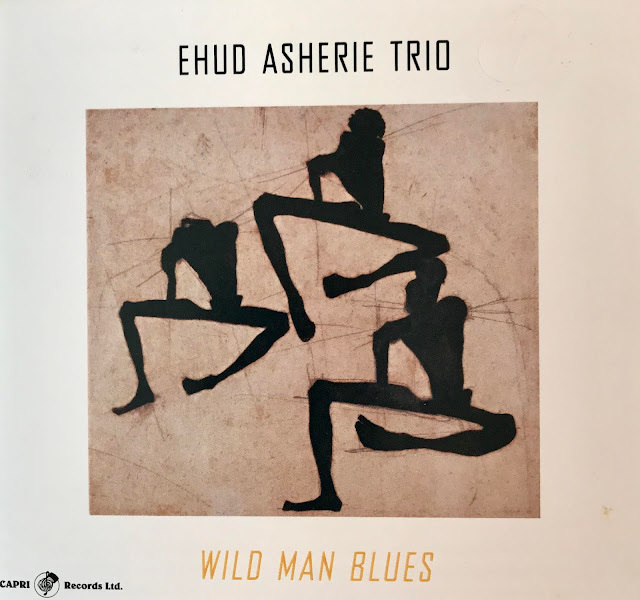 Miller brings his two favorite players with him again on this CD, Mario Suraci on Bass and Bill Belasco on Drums but adds Guitarist Brad Buethe to the group. According to Rebecca, "We knew we wanted another voice, but we weren't sure what kind of instrument it would be". They decided it had to be a guitar, and Brad Buethe was a terrific addition to the group. Rebecca Dumaine has a wonderfully relaxed style that makes singing feel like a lot of fun. She take complex songs and lyrics and sings seemingly without effort. Her song selections on the Album are outstanding. Rebecca is a trained actress and as a result, song lyrics must bring her a narrative she can relate to and believe in. She has included 12 wonderful songs out of the "Great American Songbook" some very familiar and others maybe not so familiar. But the key among all the songs on this CD is they all have great melodies and lyrics. They allow Rebecca to capture the listener with wonderful stories and melodies. Rebecca DuMaine is a major league star in the long and proud tradition of Jazz vocalists. The Dave Miller Trio with the addition of Brad Buethe produces simply magical Jazz music. They get room to show their stuff on this CD, but they also have the professional experience to give Rebecca the room she needs to shine. Oh by the way, Dave Miller is Rebecca's Dad. Dave you should be very proud of your talented daughter. The apple never falls far from the tree! 1. "Beautiful Love" 2. "Pure Imagination"
3. "One Note Samba" 4. "Exactly Like You"
5. "Down With Love" 6. "You've Changed"
7. "Put On A Happy Face" 8. "The Face I Love"
9. "There Will Never Be Another You" 10. "They Say It's Spring"
11. "Too Close For Comfort" 12. "If I Were A Bell"
I found a cut from the CD on YouTube that I have attached for your listening pleasure. Rebecca DuMaine singing "There Will Never Be Another You".